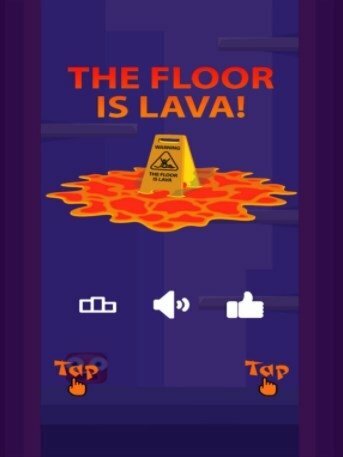 Just like the Mannequin Challenge, the Harlem Shake or those ice buckets to fight against ELA, this year 2017 also has its own viral fad that goes by the name of The Floor is Lava. Kids have always played at not touching the floor by jumping all over the furniture or only stepping on paving stones of a certain color. And now this entertainment has arrived as a video challenge: a person has to shout out these four words and the other members of the group have 5 seconds to figure out how to not touch the floor. It might seem stupid but it's the newest fad. And as usual with this kind of fad, the Internet tries to take it to the next level. That's why we're offering you this challenge transformed into a game for iPhone and iPad (you can also make the most of an Android version in APK format). How to play? That's easy. 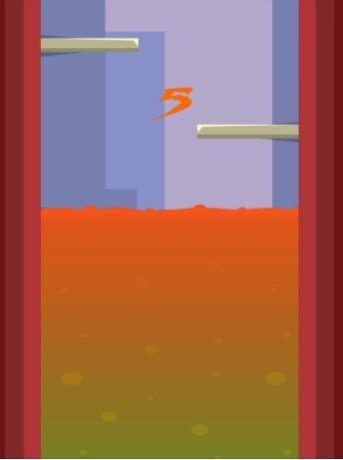 It's a simple endless jump game in which the player only has one target: to make the frightened character leap onto the platforms as fast as possible and prevent him from being reached by the lava. 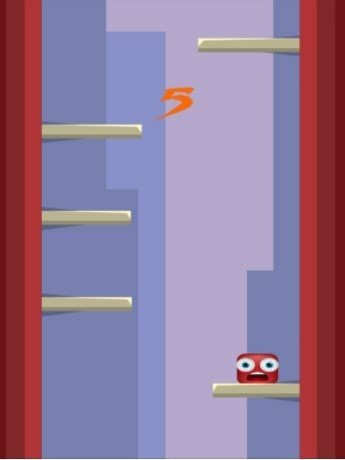 To play, you only need to tap your screen on one side or the other to make your character jump onto the platforms from left to right. 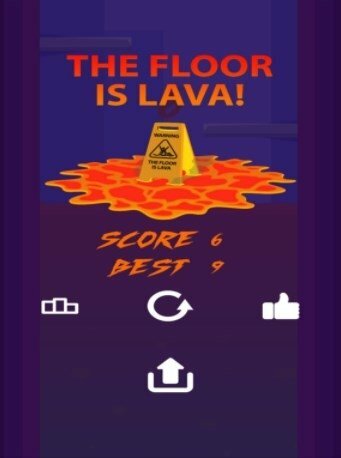 The lava will rise faster and faster, so you'll have to be quicker if you don't want to be caught out. As you can see, just like the viral fad, it's a very simple game but you won't realize how entertaining it is until you try it out. Because at the end of the day, we're all still kids.